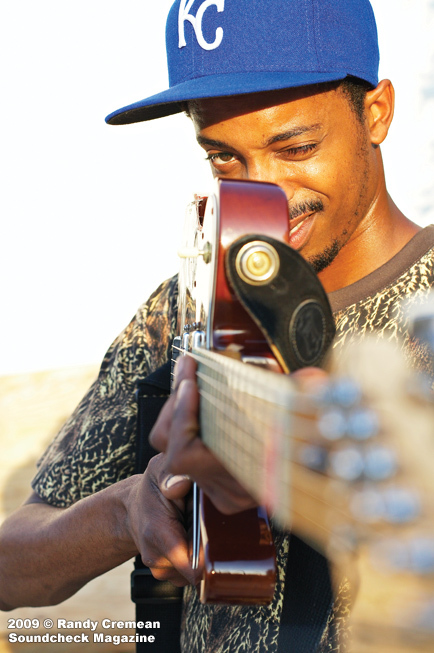 Thursday may be the first time Black Joe Lewis and the Honeybears have headlined a show in Kansas City, but it’s far from the bandleader’s first visit. The soul and roots music front man has lots of family in the area. For several months in the mid-’90s, his family lived with his grandmother off Cleveland Avenue. Just a few years later, Lewis was busking on the streets of Austin, Texas. Five years ago, he started assembling the Honeybears, a five-piece horn and rhythm section welded tight after countless shows and miles touring by van. Lewis has shuffled in and out of town on family visits several times over the years, but his band is in a vastly different place from when it last stopped in the area. In 2010, when the group played the Bottleneck in Lawrence, it was touring on the back of its first full-length album, “Tell ’Em What Your Name Is!” In the two years since, the Honeybears dropped their sophomore LP and shuffled members. A third album is underway. Right now Lewis’ plan is to get the six-piece combo in the studio once a two-week tour wraps up, then try to set up a distribution deal. Lewis said he hopes to have the album out this summer but doesn’t have a timeline. Regardless of when it’s released, Lewis can’t wait for fans to hear it. Sometimes songs start from skeletons worked up by Lewis or bass player Bill Stevenson. Other ideas come out of jams, either during rehearsal, sound check or a show. Forces that compromised the band’s sound in the past are gone now. The contract is up with label Lost Highway, which commissioned DJs to create a Honeybears mix with an electronic and hip-hop flavor aimed at the dance floor. Band members who pressured Lewis to clean up the band’s sound are gone. A fully unleashed Lewis could be dangerous. There’s not a lot of sheen or timidity in the Honeybears’ catalog. Lewis doesn’t have any trouble channeling Wilson Pickett or Howlin’ Wolf. He isn’t as concerned with re-creating a specific sound or era as are contemporaries Sharon Jones, the Daptone family and Raphael Saadiq, but he works in enough similar circles to draw comparisons.